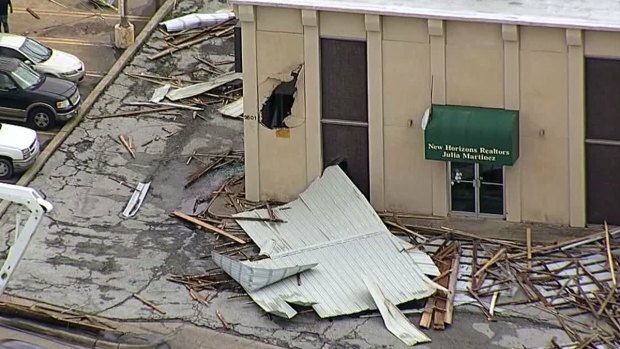 West Fort Worth took the brunt of the damage from two rounds of early morning severe weather on Thursday. The first round of hail and strong winds hit at about 4 a.m., with a second more intense storm hitting at about 7 a.m.
Tree limbs were busted and windows shattered from hail as large as tennis balls. 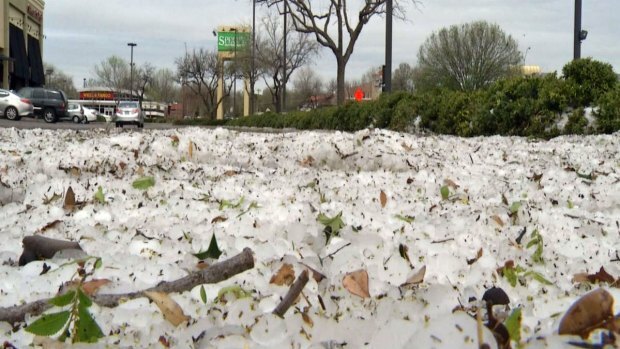 Hours later at the Sprouts Farmers Market parking lot along Camp Bowie Boulevard, hail remained stacked up as high as a foot. "It just dumped it right here, that’s kind of strange to me," said BT Barrett, who lives nearby and was astonished at all the hail. It turned the parking into a winter-like wonderland, where kids were seen playing and adults snapping photos as they drove by. "This is a first for me and I’m from up north, this is real strange," Barrett said. At just after noon the hail stones continued to illustrate the strength of the stones. By 3:30 p.m., a small plow was brought in to clear the parking lot of all the hail. "There were golf ball-sized and tennis ball-sized hail stones coming down," said Matt Zavadsky, of MedStar. Zavadsky was at the company headquarters at Interstate 30 and Alta Mere Drive when the second round of storms rolled through. He said the second storm was much more intense. Cars, businesses and homes all saw damage from Thursday morning's storms. The company saw a large bulk of the damage. Hail stones damaged 30 of the 50 employee vehicles in the parking lot. Eight support vehicles, 20 to 30 new ambulance chassis and 11 ambulances were also damaged. Three of those ambulances were out in the field when they were damaged. No one was hurt however. "We have a fleet of 55 by design, so in the event of something like this we have enough reserve vehicles we can put out on the street and not impact service delivery at all," Zavadsky said. MedStar wasn't the only first responders hit by the storm. The Fort Worth Police Department Western Division Headquarters suffered substantial roof damage in the storm and will be closed indefinitely. City crews were disposing of office furniture damaged when water broke into the building, damaging computers, documents and personal effects. Officers will be located to other police facilities for the time being. At the Bob Bolen Public Safety Complex, the carport on the training academy's driving track was torn to shreds by the storm. Several police training vehicles were damaged. Homes, businesses and cars along Camp Bowie Boulevard West were also damaged by the storms. "It’s exposed, it's too much exposure, I need something to be done before the end of the day," said Julia Martinez. Chopper 5 over the aftermath of a large hail storm Thursday, March 17, 2016. Martinez's realty office was heavily damaged by wood and metal that appeared to have blown from a lumber yard across the street. The material took out power lines in the process and other sheets of metal landed on a grocery store roof. 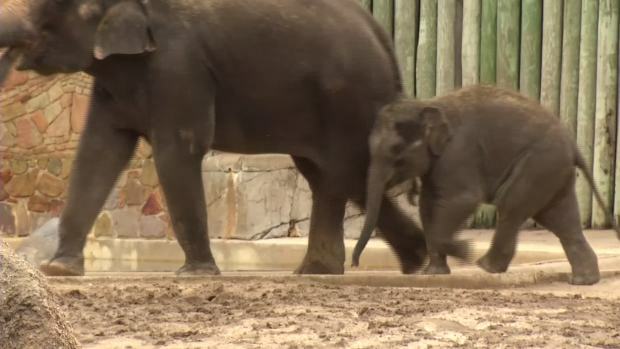 "Guess I’ll cancel my appointments today," Martinez said. There's no official estimate on the cost of damages for Fort Worth police or MedStar just yet. "This is the worst it's been for a couple of years," said glass technician Dave Lucas at Fort Worth's A-1 Auto Glass. "I hate to see it for all these people." More than 70 cars were brought in after the storm for repairs, with broken rear windows and smashed windshields. "We hate hail storms, we hate 'em. People think that we would like 'em, we don't," said A-1's owner, Roger McDonald. "We hate to see people that are, they can't afford the glass, and they have to have it." Nearly 40 cars at Caliber Collision were damaged by the storm, many of them recently repaired after previous accidents. "It's one of those things," said Joanna Pickett, with Caliber Collision. "We were just like, 'Alright guys, we just got to go into action, let's get this down, let's start the process. It's not our first time going through this.'" Car owners and the body shops are now working with insurance companies to repair the hail damage.